The history of the town started with Yoshimi clan, and the building of the build the castle in 1295. The castle town at the time was on the opposite, south side of the castle hill. After the Warring States period (1467-1568) the town started to expand towards east. Entering the Edo period (1600-1868) Sakazaki Naomori started to strengthen and enlarge the fortification, building stone walls and towers on stone foundations. 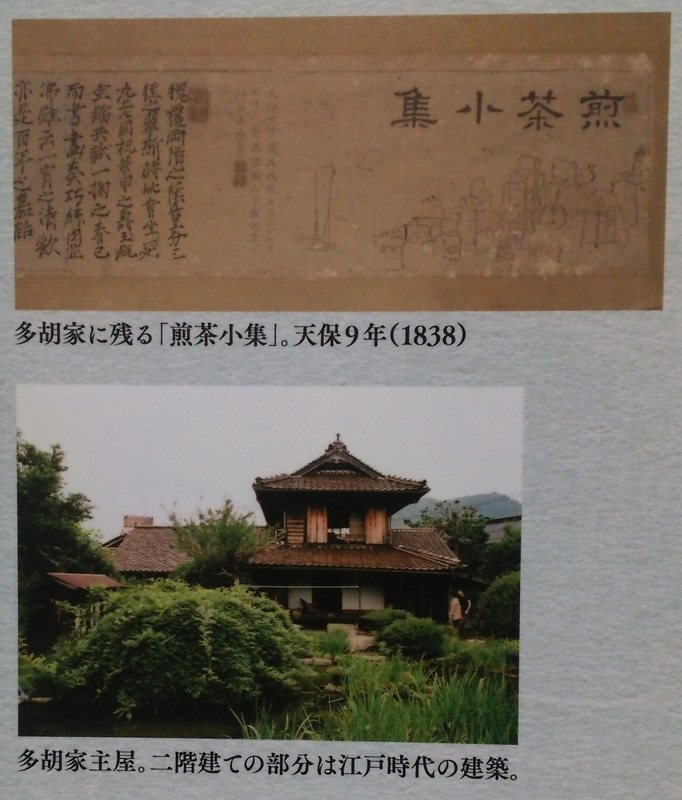 Parallel to this, the palace was moved to the east side of the mountains, which is where the town center of Tsuwano is now. Sakazaki was domain lord for only 16 years, after which the Kamei clan continued his development of the castle town. When Kamei clan moved the palace from Tonomachi Street to the foot of the castle, they also created a moat system. The high ranking samurai were living inside the moat, and middle and low ranking samurai had their mansions and houses outside. At the entrance of the castle town, kuchiya houses (guard house post) were erected, to monitor the people’s movements entering and leaving the town. In 1601 the power change between the old Yoshimi clan and the new domain lord Sakazaki clan was completed. 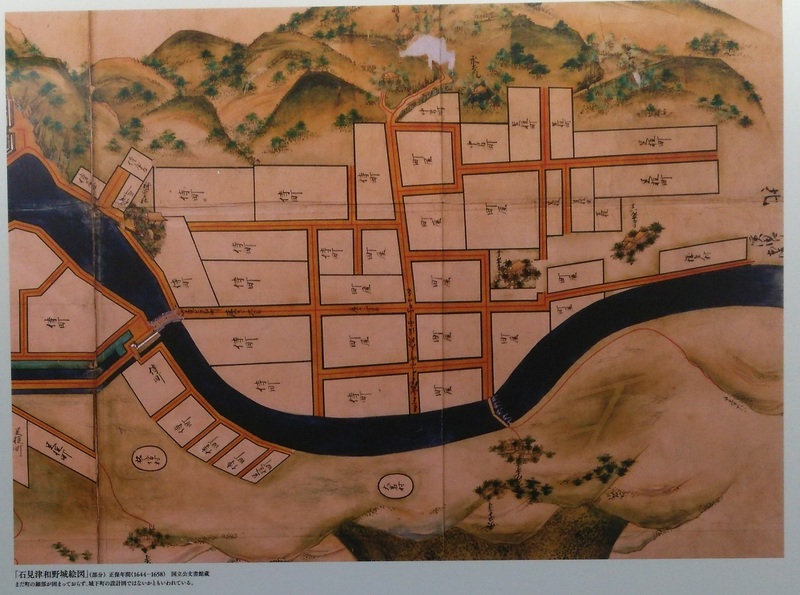 In a document made by Sakazaki in 1602, the land of Tsuwano is divided into purpose areas. On this map the Hommachi Street and Imaichi Street is already present. Also, the ashigaru (low ranking samurai) quarters found south from the castle (Washibara) are also noted as Kamiichi and Shimoichi, showing that by this time the town’s basic structure was already laid out. In 1617 the Kamei Clan became the domain lord of Tsuwano Domain and used the palace created by Sakazaki in Tonomachi Street as the center to further develop the castle town. First, they have created “Gionsha-kyutou” (currently “Otabisho”) in 1617 at the north end of the city, and in 1628 the old Yoshimi estate in Naka-no-hara was rebuilt as a new palace. Lastly in 1638 the outer moat was dug. 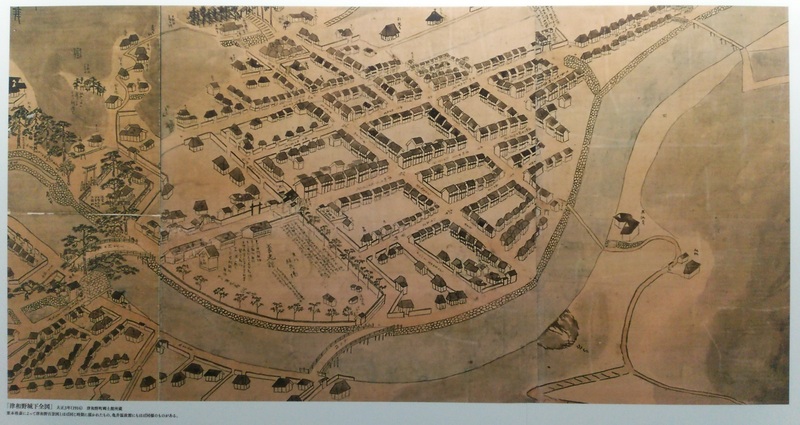 The basic structure of the town remaining until the end of the Edo period (1600-1868) was laid down in this period. In a document sent to the Shogunate (dating around 1644 – 1658), the town’s roads and lands are drawn, as well as “samurai town”, “merchants”, “ashigaru (low ranking samurai) town” distinctions are already clearly visible. 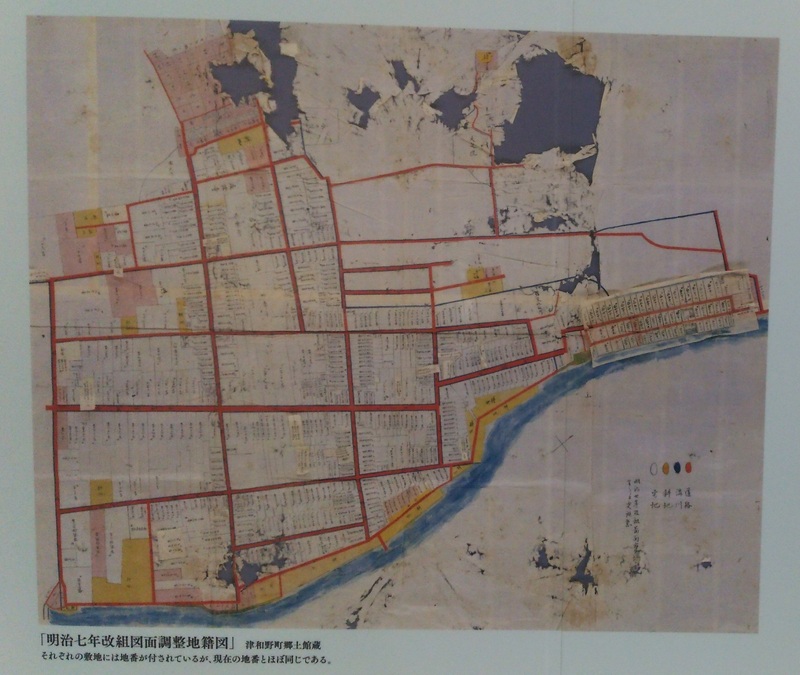 This is considered as a “development plan” for the town, as a map from a later period, does not detail the road network and the ashigaru (low ranking samurai) quarters in the north part of the town are not yet visible. The map from the Genroku period (1688 – 1736) shows the road and land structure of the town, and also has details on the name and size of the samurai mansions and merchant houses. The town is a developed castle town at this point with steady political structure and prospering industries. Tsuwano is situated in a narrow North-South valley with strong winds from the south. These winds were the reason why the town burned down quite often in the Edo period. The fire that started in 1705 burned down about 900 buildings. The next year a moat and waterways were built in front of the palace and throughout the town. Despite these measures, the castle town had widespread fires in 1763 and in 1773, when more than 1000 buildings were lost. 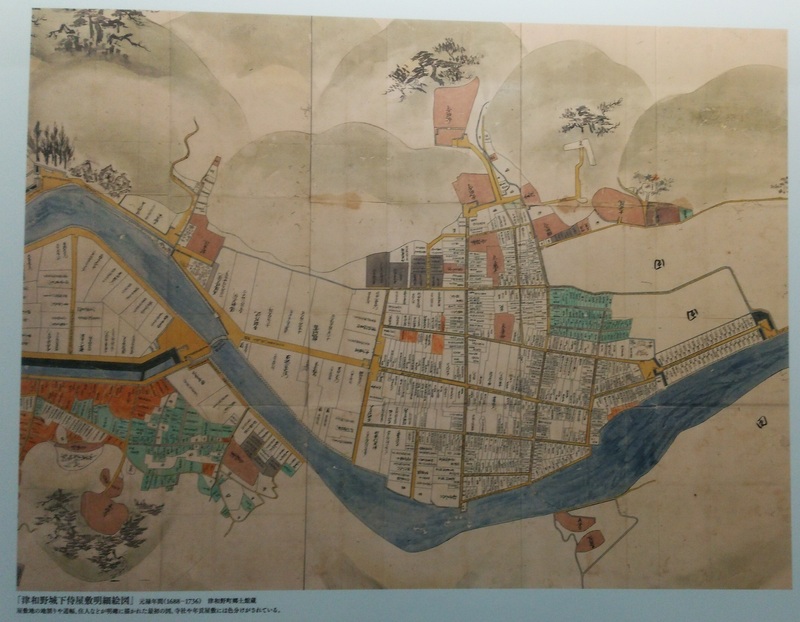 The layout of Tsuwano town has not changed much from the Genroku period (1688-1736) map all the way until the end of the Edo period (1600-1868). 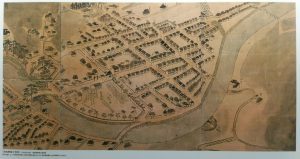 However, the fire of 1853 destroyed the domain lord’s palace and some 1760 buildings, noted as the biggest fire in the history of the town. The buildings that survived the fire are marked with a red circle on the Tsuwano Castle Town Map, and as can be seen, only a handful buildings were left unharmed by the fire. Tsuwano domain had an immense loss due to this fire, but after receiving permission from the Shogunate, the domain managed to rebuild the domain lord’s palace in 1855 years, and relocated the Domain school to its present location to Tonomachi Street. The merchants also rebuilt their houses using the materials left of their houses, as they wanted to continue their business as early as possible. After the abolishment of the domain system, samurai packed their belongings and started selling off the plots of lands they lived for such a long time. 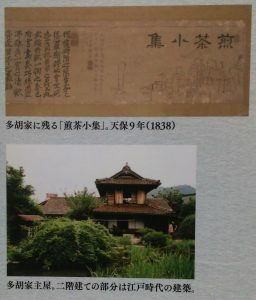 The only remaining building are parts of the domain lord’s palace, the Hankou Youroukan (domain school) and the residence of Tago chief retainer, who stayed in Tsuwano. Apart from these, most of the buildings were lost, replaced by new owners. There are some which were turned into rice fields. The houses of the towns people were rebuilt after the big fire (in 1853), but most of them were temporary buildings that were replaced in the Shouwa period. The San’in road that runs through the Honmachi and Tonomachi streets was designated as national highway in 18th year of Meiji (1885) and was rebuilt, changing the surrounding townscape. The level of the street was raised, and a new water channel was built on the east side of the road. 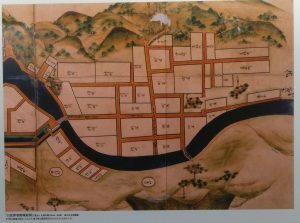 The old Tepocho Street served as the northern border of Tsuwano Castle town changed, a new road was built between the river and the Tepocho Street, thus creating a straight line from the Goin street. After the Meiji period (1986-1912) several public institutions were built along the Tonomachi Street, such as police station, courthouse, tax office and a public hall on the plot of land that was once the Tago residence’s Japanese garden. The next building to be erected was the Kanoashi District Office (now Tsuwano Town Hall) in the 8th year of Taisho (1919). The townscape of the Edo period was lost little by little with these constructions. In the 6th year of Showa (1931), a Catholic church was built to the north part of Tonomachi Street. The plot of land was donated by the Hori family, to remember those who have died a martyrdom in the first years of Meiji era (1868-1912). 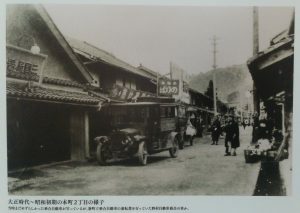 The Hori family had a prospering Japanese sake brewery and other businesses in the residence where the church is now standing, but unfortunately a fire swept through the area destroying everything in its was in the 5th year of Showa (1930). 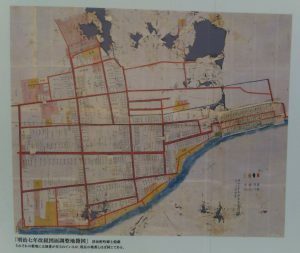 With the slowly changing view of the Tonomachi Street, a plan was created in the second half of the Showa 50s (1980-1985) to develop the area. The residents of the time wanted to bring back the atmosphere of the old samurai district, thus parts of the earthen wall with white plaster were reconstructed. 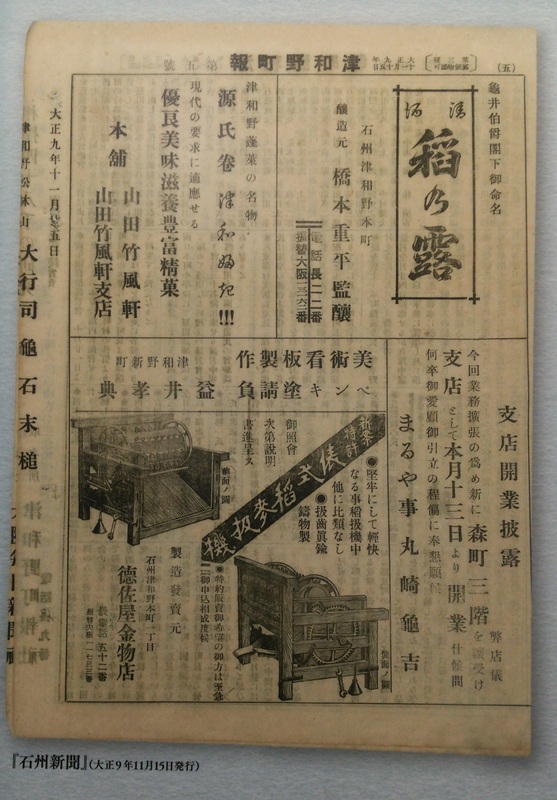 The “Iwami Province Commerce and Industry compendium” (published in September of the 27th year of Meiji (1894), by Yosuke NAKATANI) introduces the flourishing businesses of the Meiji era Tsuwano. 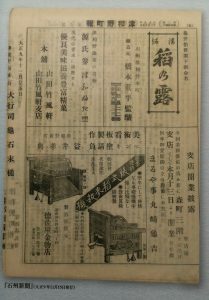 This book depicts 12 of the most important establishments, the front of the shops facing the main street with patrons and citizens strolling around. The shops of the Hommachi Street, namely the Fundo-Shichiemon main store, Tawara hardware store (formerly Tokusa store) and Dry-goods dealer Sasaya still stand proudly, making it easy to compare past with the present. These all are building in the kirizuma style (gabled roof) with sangawara (pantile) roof tiles, and hirairi (main entrance on the side which runs parallel to the roof’s ridge). This building style allows a wide shop front, many with hanging noren curtains. The interior of the shops are visible too, with a raised floor for showcasing the goods, and a corridor leading into the back, for the more private business conversations. Comparing it with today’s scenery, while the entrance area has changed, the atmosphere of the Meiji Era is well preserved. From the second half of the Edo period (1600-1868), the heads of the samurai and merchant families had a thriving Sencha (green tea) culture in the castle town of Tsuwano. A painting titled Sencha Shoshu (green tea gathering) is preserved in the residence of the Tago family (chief retainer of Tsuwano domain), showing a small group of people gathering in a tea room. Tea utensils and tools, as well as other paintings, are also in the houses of several merchant families in the town. The Tsuwano Hyakkeizu (100 views of Tsuwano) depicts the “Tsuritsuki tea room” in the garden for the domain lord’s palace, which is just one of the many buildings and gardens that are connected to the Sencha (green tea) culture. Copyright 津和野町日本遺産センター All Rights Reserved.